Beautiful sunny weather, great healthy food, and an all around fun place to live make Sydney a prime location for both families with children and young couples looking for adventure. No matter if you're moving from New Jersey to Sydney for work or for family, get comprehensive moving solutions from qualified experts who know what they're doing. 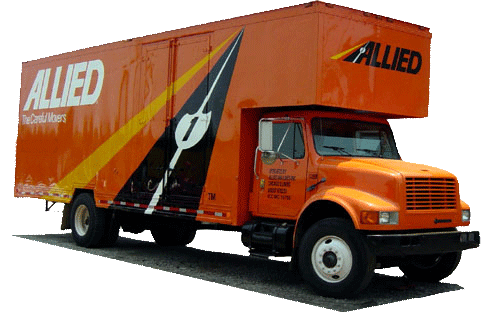 Since 1977, our movers have provided customers with high-quality relocation services as a BBB Accredited business and award-winning agent of Allied Van Lines. We are connected to a global network of moving and storage professionals with the dedication and capabilities to relocate you anywhere in the world. When you're in need of flexible and secure storage solutions for your move from New Jersey to Sydney, depend on Simonik for all of your needs. Our professionals ensure the safe transport of your belongings by storing your items in containers specifically designed for international shipping. We offer flexible, secure storage solutions that can be made to fit any storage need for any length of time. Whether it’s short or long term, our cutting edge warehouse facility can accommodate your storage requirements. If you live in North Jersey including Hunterdon, Mercer, Middlesex, Monmouth, Morris and Somerset counties, choose Simonik as your first choice for reputable and reliable moving services. As winner of ‘Mover of the Year’ from the New Jersey Warehousemen & Movers Association and as a ProMover member of the American Moving and Storage Association, you can have peace of mind that your relocation is in good hands. We are a Registered International Mover meaning our experts are specially trained to handle global relocations no matter how complex or how far. Make your move from New Jersey to Sydney stress-free, streamlined, and cost-effective with the help of our experts. Simonik Moving and Storage is a leader in efficient international moves. To learn more about our comprehensive moving services, call us and speak with an NJ to Sydney moving specialist today. You can also fill out our online form to get your complimentary moving estimate.